Seeing an increasing interest in retro-styled motorcycles, Autologue Design has created a rendering of a Yamaha YZF-R3 with old-school styling. The rendered motorcycle is a combination of the Yamaha RD350 and the YZF-R3, hence the 'Yamaha RD-3' name. The fuel tank paint and graphics of the imaginary motorcycle takes inspiration from the Yamaha RD350. Yamaha RD-3 render by Autologue Design combines the best of YZF-R3 and RD350 in one motorcycle. For starters, the motorcycle uses the same underpinnings as the stock Yamaha YZF-R3. However, the fascia drops the twin-pod headlight for a round headlamp, featuring a chrome mask. The black coloured front fender adds a neat contrast to the overall package. The neo-retro motorcycle has upside-down telescopic front forks, which look quite appealing because of the golden colour. The cockpit features the familiar clip-on style handlebar for forward-leaning ergonomics. The fuel tank, as mentioned above, draws styling cues from the RD350 and thus you would see a chrome filler cap on the top instead of the aircraft-style flush-mount unit on the YZF-R3. The sub-frame has been tweaked to give the motorcycle a compact look. The step-up saddle mimics a rear cowl design while retaining a pillion seat. The rear gets minimalist styling with a tyre-hugger mounted number plate. The tail light, on the other hand, is mounted on the modified sub-frame. Noteworthy details on the sides include a sporty engine cowl and an aftermarket exhaust from Akrapovic. The black painted wire-spoke wheels add a stealthy look to the package. Braking setup is imagined with an upgrade, and the rendered motorcycle gets twin discs at the front. The rear uses a single disc. Shock absorption tasks, as mentioned above, are performed by upside-down telescopic forks at the front and a monoshock at the back. The engine is retained from the YZF-R3. Thus, what you see on the rendered motorcycle is a 321 cc parallel twin motor with liquid cooling and fuel injection that makes 41 bhp at 10,750 rpm, and 29.6 Nm at 9,000 rpm. 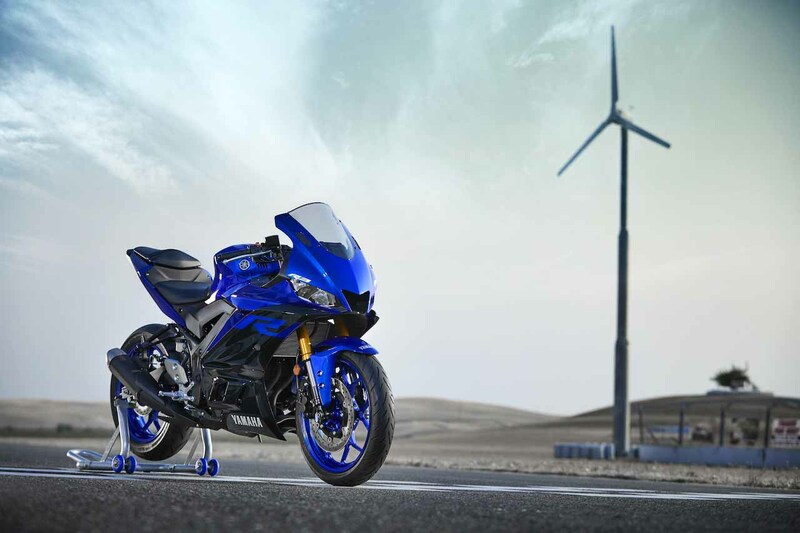 The 2019 Yamaha YZF-R3 (pictured) is expected to arrive in India in 2019. However, Yamaha has not revealed a timeline for the launch of the motorcycle. 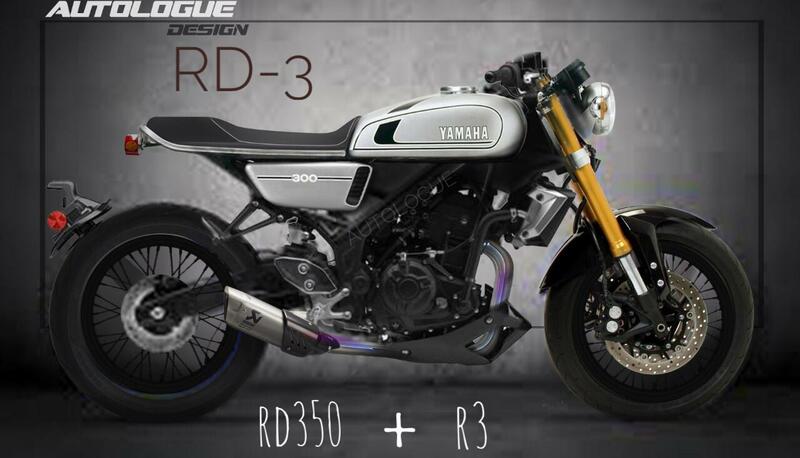 The Yamaha RD-3 is just a speculative rendering of how a combination of the RD350 and the YZF-R3 could look like. Yamaha has no intentions of making one.